There's a new buzzword in the fitness world: fascia. It's the connective tissue that wraps around your muscles and organs and helps keep everything in place. But in our increasingly busy and often stressful lives, tension and toxins are often stored within our fascia, resulting in serious long-term consequences, such as excess weight, acute anxiety, chronic pain and poor posture. 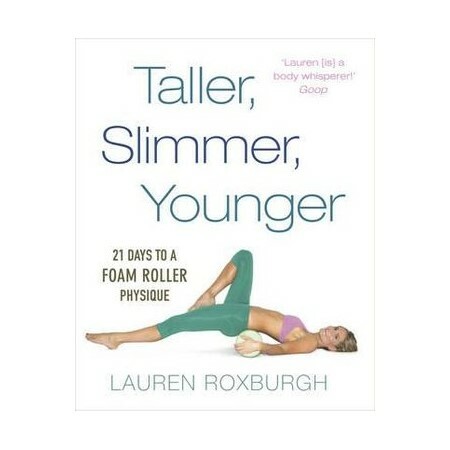 Fitness and alignment expert Lauren Roxburgh - who has worked with such stars as Gwyneth Paltrow, Gabby Reece and Melissa Rauch - has the solution to keep your fascia supple, flexible and strong. Using only a foam roller, you can reshape and elongate your muscles, release tension, break up scar tissue and rid yourself of toxins for a leaner, younger look. In just 15 minutes a day, Roxburgh's 21-day programme will guide you through a simple series of her unique rolling techniques that target 10 primary areas of the body, including the shoulders, chest, arms, legs, hips, bottom, back and stomach. The end result is a healthy, balanced, aligned body that not only looks but feels fantastic. Includes over 80 photographs to help guide you through the exercises. Named one of Shape Magazine's 50 American hottest trainers in 2014, Lauren Roxburgh is certified in the fields of structural integration, Pilates, yoga, massage, meditation and nutrition. She has an A-list client base in Los Angeles and New York, including some of the world's best orthopedic surgeons. A regular contributor to Goop.com and on the Advisory Board of Yahoo Health, she is the go-to writer and expert for all things fascia and foam rolling.